Sripathi Panditharadhyula Balasubrahmanyam, or Balu to his countless fans and followers in many a country, besides his Motherland – India, is one of the leading figures of Indian Cinema, more particularly, Southern Indian Movie Industry. He had held sway for years and continues to do so, as a top-notch playback singer, in films in many Indian languages like Telugu, Tamil, Kannada, Malayalam the ‘lingua franca’, Hindi, Tulu, Oriya, Assamese, Badaga, Sanskrit, English, Konkini, Bengali, Marathi and Punjabi. Balu has sung over a staggering 40,000 songs in films, private albums, TV Serials, which is a fete in itself. He is one of the most sought after “playback” singer of Southern Indian Cinema. Balu was born on June 4th, 1946 in Konetampet, in present day Tamil Nadu, then in Andhra Pradesh. His father, Sri. S.P. Sambamurthy was a fine musician and an excellent exponent of “Harikatha” (a fine art form of entertainment combining music and storytelling). Balu took to singing early. Blessed with a rich melodious voice, a fine range and timbre drenched with honeydew the sprightly lad sang in public while pursuing his engineering diploma. While singing in one of the “talent-spotting contests” in Chennai, young Balu was spotted by the late film music composer, Sri. S.P. Kodandapani. Balu won the first prize and the enterprising music director gave the fresh talent a break to sing in the film “SRI SRI SRI MARYADA RAMANNA” (Telugu 1966). Thus began the career that would become a legend in Southern India, the golden-voiced singer, S.P. 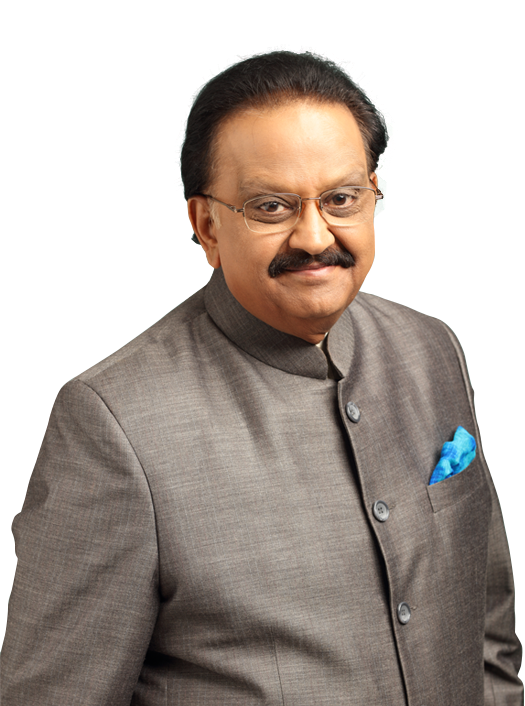 Balasubrahmanyam. Success came by calling on wheels for young Balu, and within a short period the name SPB began to ripple out creating waves across the land. He made audiences across India sit up and take note, with his mellifluous renderings in the run-a-away superhit “EK DUJE KE LIYE”. His singing performance in the many-award-winning Telugu Musical, “SHANKARABHARANAM” (Telugu 1979) won him the coveted Indian Government award as the best singer of the year. The film smashed records which the voice, melody, verve and feelingful rendering of Balu contributed more than amply. He also got National Awards for his singing in films like “EK DUJE KE LIYE” (Hindi 1981), “SAAGAR SANGAMAM” (Telugu 1983), “RUDRA VEENA” (Telugu 1988), “GAANA YOGI PANCHASHARI GAVAI” (Kannada 1995, “MINSARA KANAVU” (Tamil 1996) altogether six which is a record. Balu won the coveted filmfare award for singing in “MAINE PYAR KIYA” in 1990, and the SurSinger Award for his best classical rendering in the Hindi film “TERE PAYAL MERE GEETH” in 1992. Balu also performed on screen and donned character roles with roaring success in more than 45 films in Tamil, Telugu and Kannda. Balu bagged the Tamil Nadu Government and Andhra Pradesh Government, prestigious awards at least 10 times as the best Singer, best character actor and composer. He was awarded the “KALAIMAMANI” by Tamil Nadu Government in the early seventies. He was awarded “DOCTORATE” by Potti Sreeramulu Telugu University in 1999. He was awarded “Ms. LATA MANGESHKAR PURASKAR” by Madhya Pradesh Government in 1999. He was awarded an “HONORARY DOCTORATE” by Satyabama University, and Andhra University in 2009, and by JNTU Anantpur, in 2011. He was awarded by the prestigious “PADMASHRI” in 2001 and “PADMA BHUSHAN in 2011, by Indian Government. Balu has recorded over 40,000 songs in a span of 50 years, which include film songs and devotional numbers recorded by various recording companies of the country. It is a world record which will be soon entering into the Guinness Book of World Records. Balu has recorded 17 songs in Kannada for the composer Upendra Kumar in Bangalore from 9.00 a.m. to 9.00 p.m. on February 8, 1981 which is a record. Balu recorded 19 songs in Tamil & Telugu in a day and 16 songs in Hindi in a day for music directors Anand and Milind, which is a notable achievement. From singing to composing was a short leap, composing music for 45 films in Telugu, Kannada, Tamil and Hindi. Dubbing for southern Indian stars in over 100 movies is another venture that brought him recognition for his deep and astounding voice. He even received the best dubbing artiste awardfor ANNAMAYYA for lending his voice to Suman, who played Lord Balaji in the movie. He has also successfully portrayed character roles in as many as 45 films in Tamil, Telugu and Kannada. 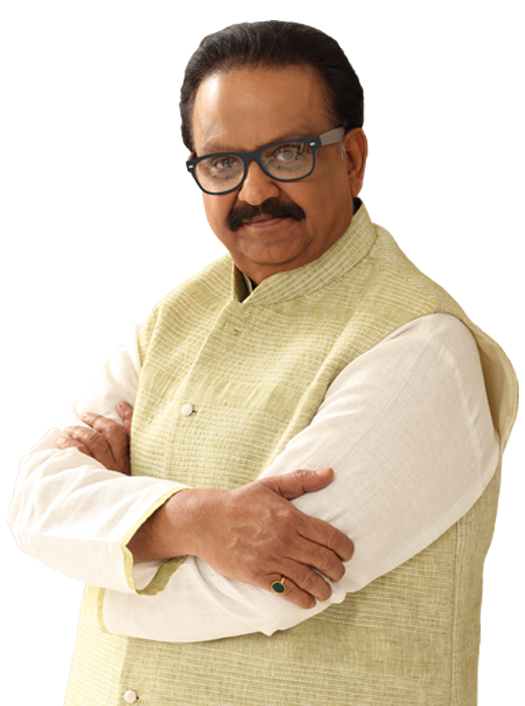 Despite a vigorous singing career spanning 4 decades, SPB has donned several other avatars, giving of his best in every one of them and enjoying the variety of the experience to the full. A dulcet voice with an amazing range. An inflection that can capture every human emotion. An energy that is prolific and prodigious. Can all these attributes dwell in one singer? To millions who know him, SPB has all these and more. Speaking of Rafi, Lata once said that even audiences who did not speak Hindi were moved by the emotive power of his voice. The same can be said of SPB’s voice. 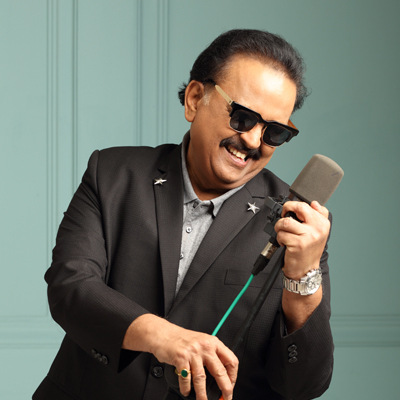 In a single concert, or in a single collection, SPB can take his listeners along with him on a rich and colourful emotional journey across states of mirth and melancholy, romance and revelry, reflection and abandon, leaving them ecstatic and breathless. His passionate portrayal of sublime emotions makes his audiences experience them together, uniting their souls as differences disappear and a sense of oneness prevails, which is arguably the greatest compliment, a categorical and conclusive acknowledgement of his contribution and service to Art and Mankind. 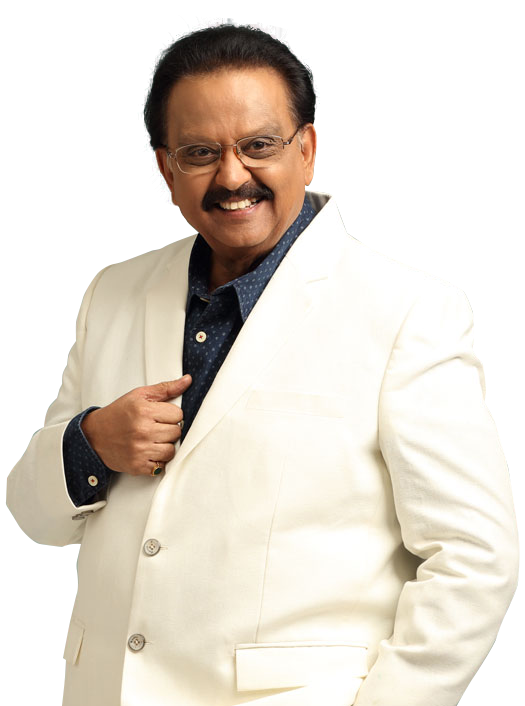 Making his debut in 1966 as a singer (Sri Sri Sri Maryada Ramanna) for music director and mentor Kodandapani, SPB has sung over 35,000 songs in Telugu, Tamil, Kannada, Malayalam, Hindi, Tulu, Oriya, Assamese, Badaga, Sanskrit, Konkini, Bengali, Marathi, Punjabi and English. He holds the record for the most number of songs rendered by a playback singer. 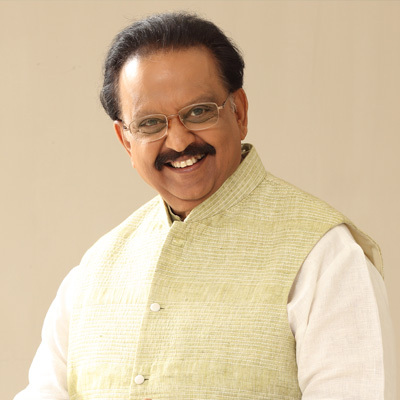 Much loved by everyone in the film industry, SPB is highly regarded by musicians and composers for his versatility and virtuosity. His avatar as an actor is SPB’s gift to the millions of his admiring fans. A human being who gives his all to every endeavour, SPB enjoys his performances so much so that his dedication and sincerity are evident in every character he plays. Equally manifest is the enthusiasm and verve that he experiences through the opportunity to perform with other actors. 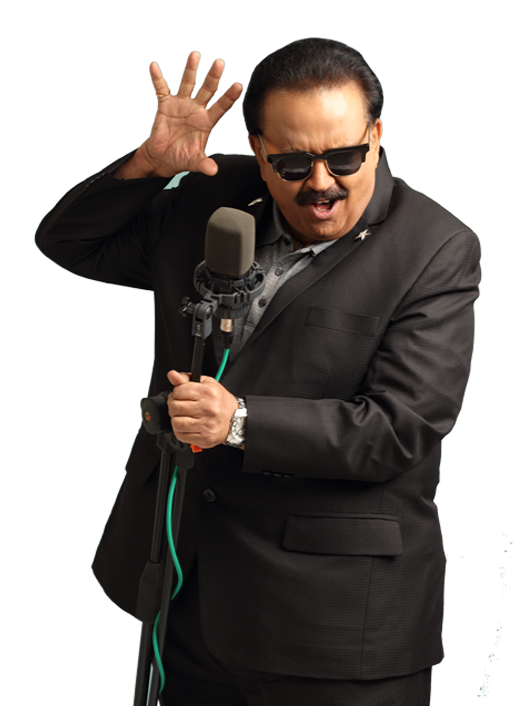 For his fans SPB as an actor is a most natural extension of his warm and sincere personality. They have always ‘heard’ him ‘act’ while singing and seeing him in celluloid served to bring him closer to them. 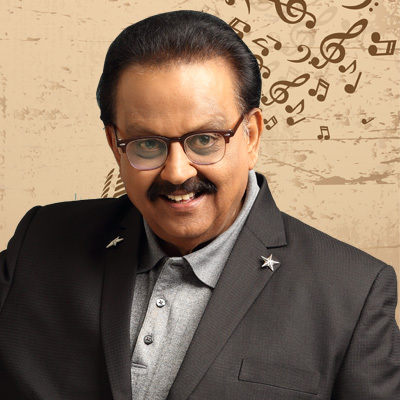 SPB thrilled his audiences with memorable roles in over 45 film title, especially in Manathil Uruthi Vaendum, Thiruda Thiruda, Keladi Kanmani, Sikaram in Tamil; Pavithra Bandham, Mayabazaar, Pakkinti Ammaayi in Telugu; Muddina maava, Maangalyam thanthunaanena, Baalondu chadhuranga, in Kannada to mention a few memorable performances. Apart from the silver screen, he has also donned character roles in Tamil and Telugu TV Serials for various television channels. 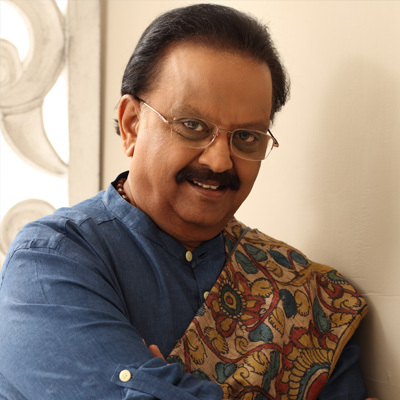 SPB has often spoken of his immense respect for the classical tradition of India and his reverence for composers. Modest and unassuming about his achievements, SPB has explored his capability as a composer without fuss and fanfare. 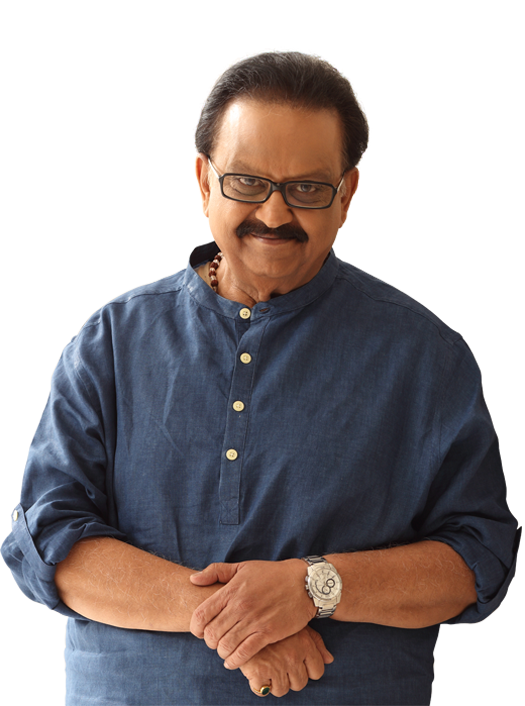 Given his passion for music and the close and long association he enjoyed with many great music directors, SPB’s turning into a composer himself was but a short leap for Balu. He has set music and tunes for 45 films in Telugu, Kannada, Tamil and Hindi films. SPB produced the critically acclaimed and award-winning “Subha Sankalpam” in Telugu with Kamal Hassan in the lead role and directed by the highly talented K.Viswanath. He has produced films in most of the southern Indian languages, including the dubbed version of “Mayuri” in Tamil (1984) for which he had composed music as well and won the Andhra Pradesh state award for the original Telugu score. Balu also “ghost voices” for Southern Indian Movie stars (dialogue). He received the best dubbing artiste award from Andhra Pradesh Government for lending his voice to Suman who portrayed Balaji’s role in the film “ANNAMAYYA”. 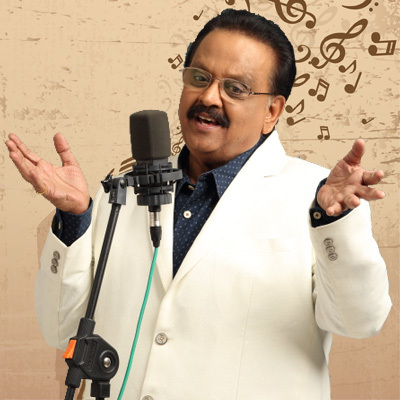 SPB donned the role of a dubbing artist with his characteristic zest and involvement. Clear voice, fine diction, and empathy with the character distinguished SPB’s contribution as a dubbing artist. Ever the perfectionist, SPB brings to bear the ring of sincerity and depth upon the performance of the actor to whom he lends his voice. That someone of the calibre of Padmashri Kamal Hassan chooses SPB to date to speak his lines is a clear acknowledgement of the singer’s emotive ability. SPB has dubbed in notable films such as Gandhi for Ben Kingsley, Annamaya for Suman, Slumdog Millionaire for Anil Kapoor, several award winning movies for Kamal Hassan etc. He also lent his voice for several other leading artists such as Bhagyaraj, Mohan, Girish Karnad, Gemini Ganesh, Karthik, Raghuvaran etc. in over 100 film titles in Tamil, Telugu and Kannada. 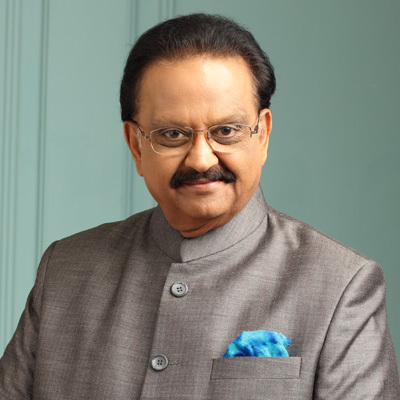 Given his long association with the Music scene in the country and his penchant for music, it was but natural that SPB should play his role as a TV Show anchor on musical shows where he could nurture musical talent. He has hosted & anchored many a TV programmes that are based on music & talent hunt shows, where he succinctly provides key inputs to participants / viewers about music and hones their skills.